Artists, curators and museum directors are looking to be more inclusive of women with a rosier landscape for women launching on March 8. 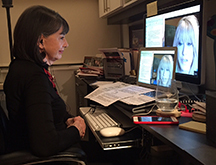 Take The Lead Co-Founder and President Gloria Feldt points to the either/or trap. Can't we all win? Oscar-winner Viola Davis works through negative beliefs; we can all learn how to step into deserving the accolades we earn. Learn how to counter sexism at work from stupid jokes to more serious harassment. Leadership Ambassador Amber Nelson explains her transformative role in Take The Lead. Gloria's Pick*: Get Explicit About Implicit Bias: In my trainings with companies that want to increase leadership gender parity, I see clearly that great leaders make personal commitments to overcoming implicit bias. Culture change starts at the top, as this report from Bentley College shows. Celebrate International Women's Day March 8 by making a Pledge For Parity. Every woman can pledge to take a concrete step to help achieve gender parity more quickly, whether to help women and girls achieve their ambitions, call for gender-balanced leadership, respect and value difference, develop more inclusive and flexible cultures or root out workplace bias. In honor of International Women's Day, this Surround the World music video features 51 female singers from around the world, in a song from songwriter/producer Oren Sharon. The goal of the project is to show world unity through the love of music honoring the voices of women. What Will You Do On A Day Without A Woman March 8? Discover your action options for International Women's Day March 8. Two new books discuss living the F word in the spotlight. Governments need to budget this in and realize it is profitable to be fair to women. The U.S. House Science chair says the tech world is losing out on lack of women leaders. Celebrate International Women's Day live from the HERWorld Energy Conference in Houston where panelists will discuss the history of International Women’s Day, the exciting new sectors that women are stepping into and what role men can take to increase gender parity in leadership. Join Gloria Feldt, Katie Mehnert; Josh Levs, award-winning former NPR and CNN journalist, U.N. Global Gender Champion and author of All In: How Our Work-First Culture Fails Dads, Families, and Businesses — And How We Can Fix It Together; and attorney Marianne Robak, President of Executive Moms Society, who will chat about the importance of engaging men as allies.